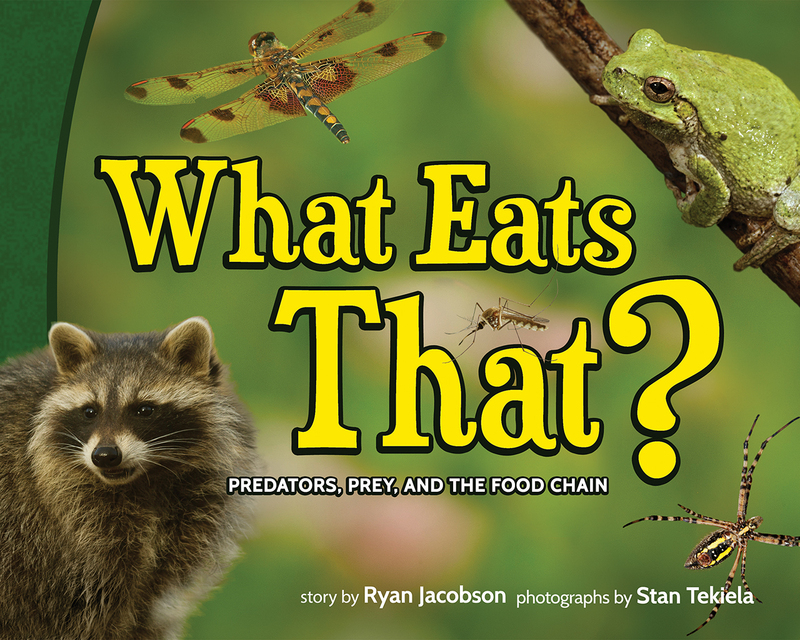 Essential information to stay alive when caught outdoors in a dangerous situation. You need one vital tool to stay alive in a dangerous situation: good information! So forget everything you think you’ve learned from your favorite survival shows on TV and the movies. 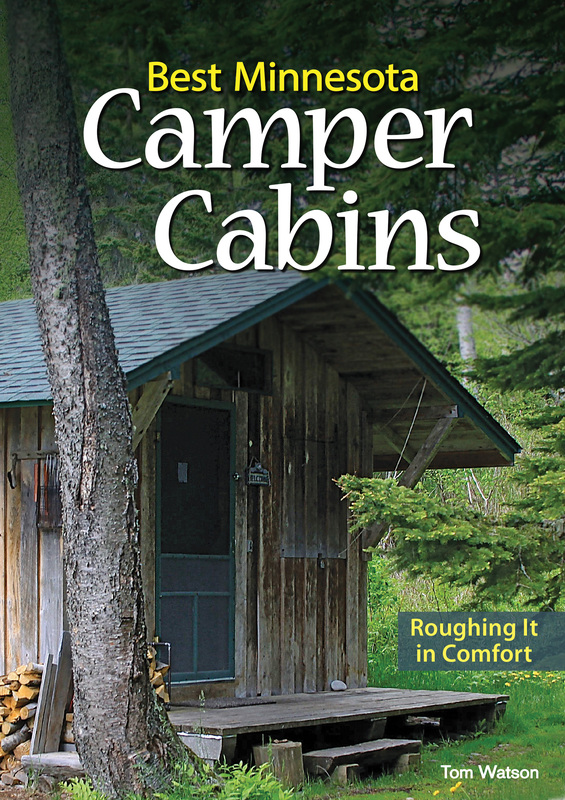 Outdoor Survival skips the gimmicks and parlor tricks. 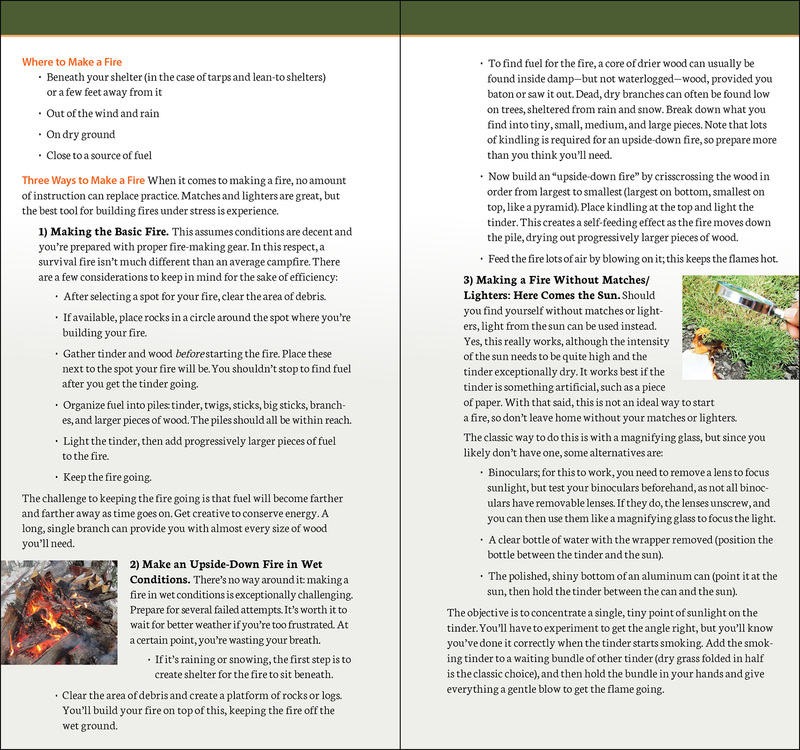 It is a straightforward guide for the everyday person—who most likely won’t have perfect conditions or expensive gear. Author Benjamin Sobieck served as editor for a survival magazine and lived through a weeklong wilderness survival situation, and he’s sharing his expertise with you. In most real-world situations, the best strategy is to remain calm, sit tight, and wait for rescue. 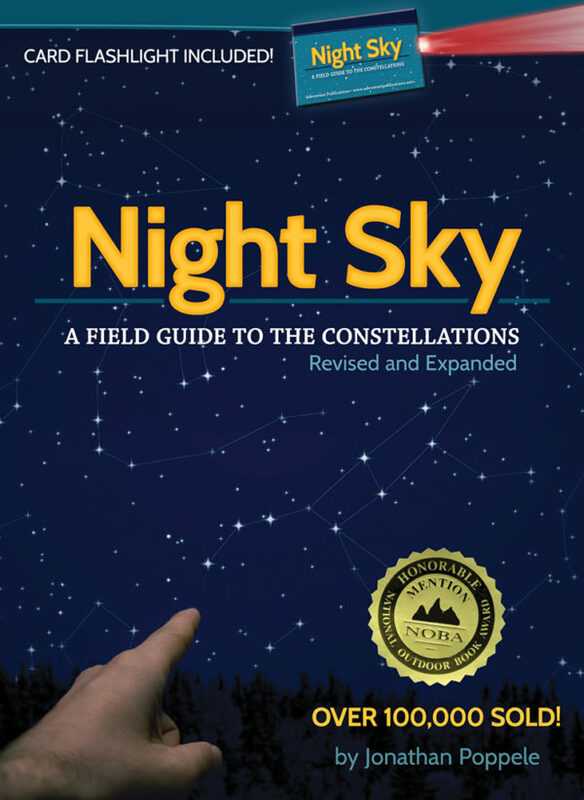 This guide covers everything that happens until help arrives. 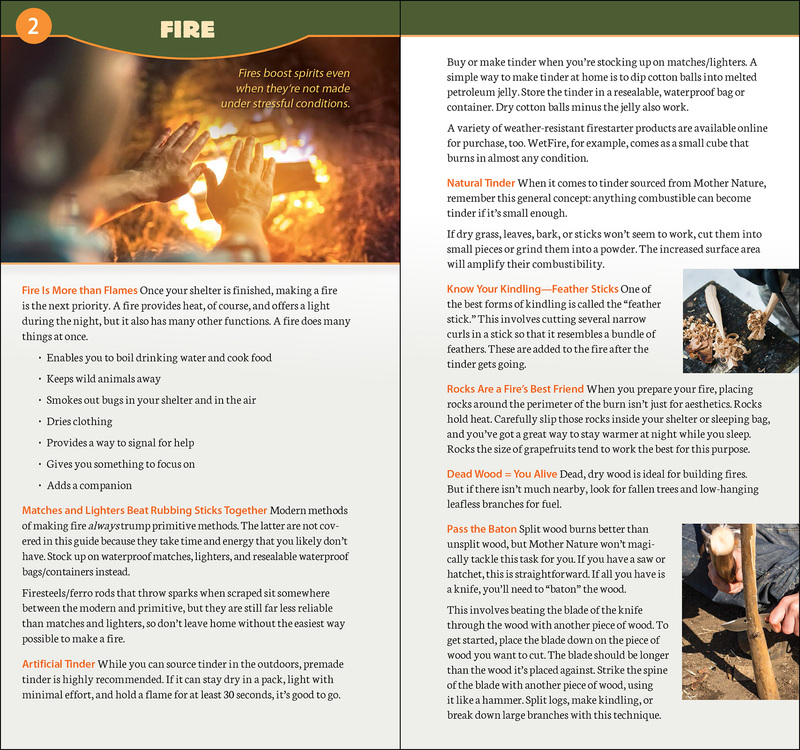 Learn some easy rules to remember, like 3-3-3 and S.T.O.P.—and why shelter, fire, and water are top priorities. Discover time-tested techniques for making yourself easier to find. 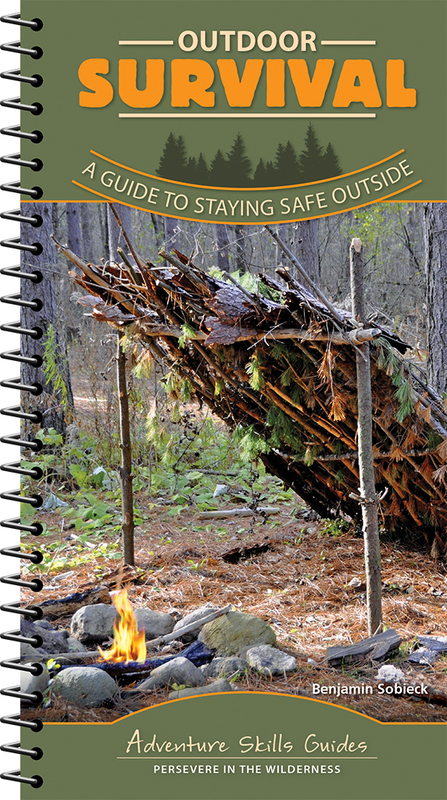 Topics in this Adventure Skills Guide include everything from building a shelter and making a fire to surviving in a vehicle and administering first aid, as well as advice on knives, emergency kits, and more. 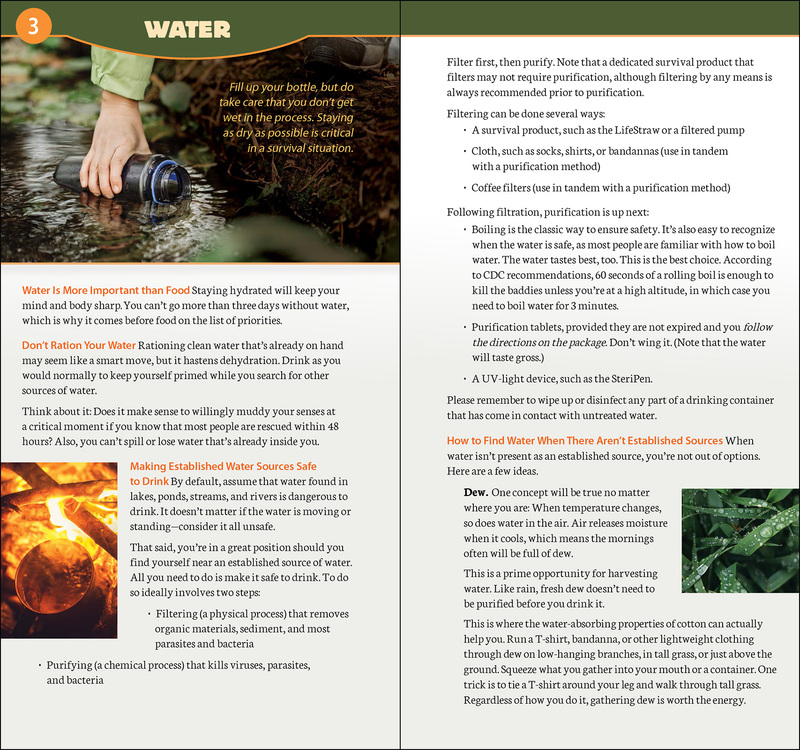 Outdoor Survival provides the information you need in the simplest of terms. It’s conveniently sized to keep in your glove box, backpack, or back pocket. Remember: You will survive, you will get home, and you will have a great story. The key is to use good information to keep you safe and alive.